25 people trained directly (NGO/MFI staff). TBC people trained by organisations we trained. 82 people trained directly (NGO staff and students). 264 people trained by organisations we trained. Building NGO capacity: by 1) encouraging NGO and MFI staff to manage their own money, 2) by training them to use participatory training methods, 3) giving them business knowledge and skills as hardly any of them have ever run a business while they are being asked to run income-generation programmes. Debt: “multifinancing” i.e. taking debts from several lenders has become endemic in Nepal and pushed many families to unsustainable levels of debts. Our programmes focus on debt consequences, keeping a manageable debt level, planning future expenses, saving for emergencies and discouraging loans for daily life consumption. Remittance use: with an average 1,500 Nepalese leaving their home country to work abroad evrey day, remittances have reached more than 30% of Nepal’s GDP in 2015 (source: World Bank). Remittances are very often used for consumption, rather than invested in productive ways. 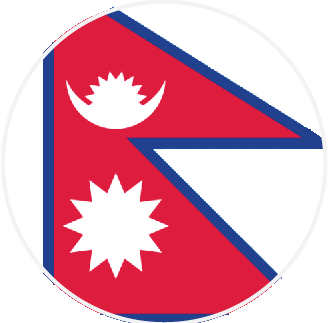 With FINLIT Nepal, our goal is to encourage a more sustanaible use of remittances and build youth’s critical thinking so that they weigh the pros and cons of immigration, as well as encourage local income generation. Ethics: our programmes include relations with others, community impact, values and ethics, as our goal is to help Nepal develop more harmoniously and not to foster a selfish consumption-focused culture. Save the Children Nepal + India: Read more. Nepal Prosperity Institute/FIN LIT Nepal: we trained a group of undergraduate ambassadors selected by NPI/FIN LIT Nepal who will train high school students throughout Nepal. Read more.